The "Holiday Season" is over and we hope yours went well. The "Holiday Season" is over and we hope yours went well. Be sure to stay warm this winter and enjoy one of my favorites, hot chocolate. Be sure to be careful if staying warm by a fire or space heater this winter. 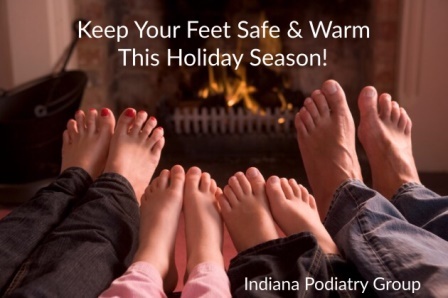 I have seen many patients that keep their feet too close and suffer burns. This is particularly important in people who have diabetes and perhaps decrease sensation in their feet. You might not actually feel the burning of the skin! Happy Holidays and be safe!